I have read many comments regarding this previous post where I described what can penetrate into hair. Some of you were not clear on the time required for penetration and thought that I had said that overnight conditioning is best for protein penetration. Quantity - This is where you can measure an amount reliably. 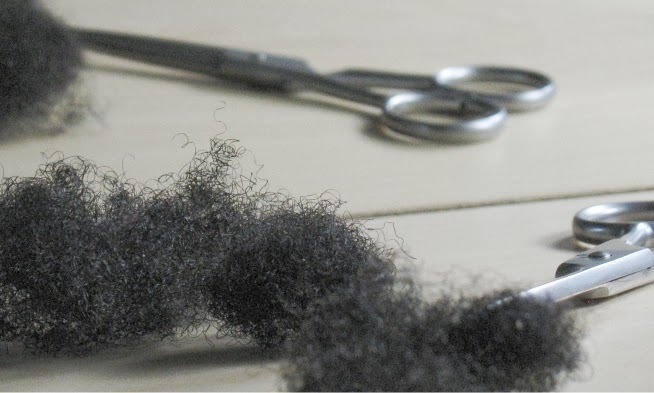 For example, with hair conditioning and deep conditioning, you can reliably find that after 20-30 minutes, hair simply does not deposit anything further onto its surface and after 20-30 minutes no further penetration is taking place either. This is a measured result where you can quantify how much of the conditioner is stuck on to the surface of hair firmly enough not to be washed off. Equally no more conditioner is being taken up by the hair. Quality - This is not a measurable quantity. It is purely an observation. For example with protein conditioning, after 30 minutes you find most of the protein on the surface. At 16 hours, it is distributed further into the hair shaft. Now this does not mean more time allows more conditioner to penetrate. This is not supported by the previous quantifiable result. It is more likely meaning that the conditioner gets redistributed and penetrates further depending on how damaged the hair is (more pores, more entry). For budding scientists, look up quantitative and qualitative results. Coming up Next - What goes in must come out. Great explanation and breakdown, Jc! I love your website and your willingness to explain all of this information so completely; even though I don't have ethnic hair, the knowledge I am able to absorb from your site is absolutely wonderful. Thank you so much! This is excellent for anyone who is interested in the science of hair and it has become an invaluable resource for me. :) Merry Christmas and Happy New Year! Thank you so much and have a great Christmas too! anwyay...........What are your thoughts on terminal hair length? Do you believe the theory? Yes there is a terminal hair length often quoted as 3-5 years. This is not actually a studied time length though, more of a scientific guess. Another school of thought actually says 12-15 years based on observations at US theme parks. In either case, hair will stop growing for most people, some people do have extraordinarily long growth phases. So yes a terminal length does exist. "I used to regard this [overconditioning] as a nonsense term but when I did some research, I do now know that it is possible. A study done on nails (same keratin protein as hair) was performed to find out why nails get weaker with repeated water exposure. The study found that exposing nails to water for over 15 minutes (remembering that at 15 minutes the protein is saturated) led to the keratin coiling different from normal and this was linked to softening and weakness (BBA,pp 210-216,1999). There are many naturals who will condition their hair for hours at a time because they like the softness that it develops. If you are in this group, you are someone who likes over-conditioned hair. The softness you are feeling is most likely related to the change in the keratin and you should be careful when handling your hair when it is that soft as it will be weaker until it has time to recover its stronger conformation"
*So this Dec. 17, 2012 post reffers to protein based conditioners? 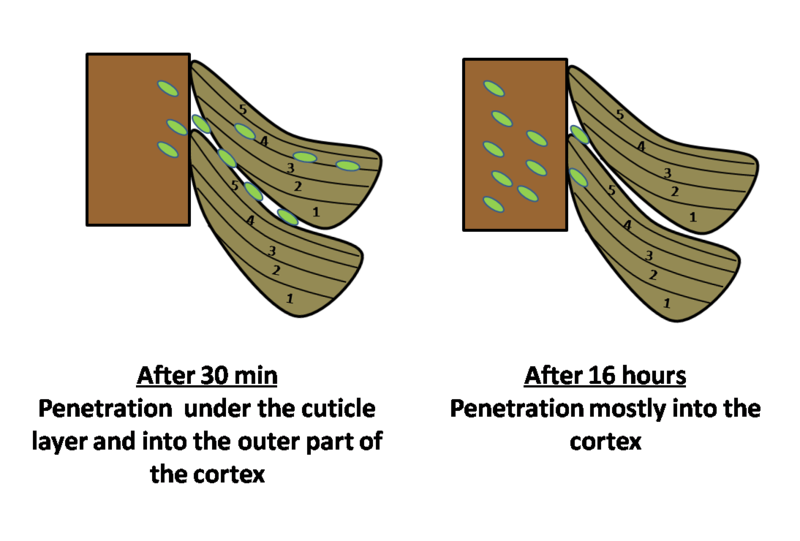 *Penetration into the cortex represents a span of time where overconditioning is the 'next phase'? *Over conditioning must then represent a hair state/texture (not just a length of time)? And overconditioning must only be possible based on a mix of present variables like ingredients used, porosity, time, ect, right? I am just asking the 3rd question because of these sentences here: "There are many naturals who will condition their hair for hours at a time because they like the softness that it develops. If you are in this group, you are someone who likes over-conditioned hair." ETA after a reread of my post: I also think I understand overconditioning now that I can recall times where after a DC I would think to myself 'I need more protein' or 'more moisture'; I had over conditioned using one of those materials. I still want to post this for you to reroute my thinking on this if need be and in case in helps anyone else. :) Thank you again in advance. - Over conditioned hair to me represents a both a time point and a change in texture/softness/state of hair protein. The change in hair texture only happens when the water based hair conditioner has been in contact with the hair for a sufficiently long time in a liquid form.